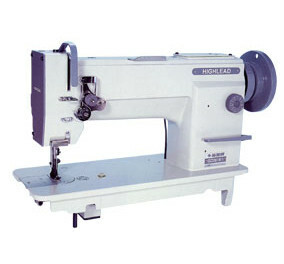 This single needle high speed lockstitch sewing machine series uses a link take up, rotating hook and link driven feed mechanism, thereby allowing it to maintain precise stitching even when changing between low and high speed as well as forward and reverse stitching.The arm shaft and hook are driven by bevel gears which ensures quality stitch appearance. The dial operated stitch regulator makes it easy to adjust and maintain stitch length. 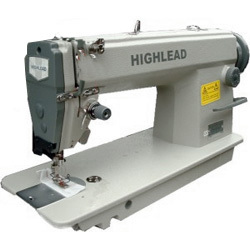 The different subclasses can be used to sew light and medium weight materials up to and including medium-heavy weight materials such as leather, canvas, plastics, etc.